The University of Illinois Press is pleased to announce that James Cornelius has been selected by the Abraham Lincoln Association as editor of the Journal of the Abraham Lincoln Association beginning January 2019. 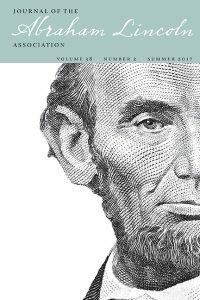 The Journal of the Abraham Lincoln Association (JALA) is the only journal devoted to Lincoln scholarship. In addition to selected scholarly articles—on Lincoln in the popular media, for example, or British reactions to the War— the journal features primary source documents such as photographs, newly discovered letters and other unpublished material. JALA is the official journal of the Abraham Lincoln Association. The Journal of the Abraham Lincoln Association was founded in 1987, as the successor of Papers of the Abraham Lincoln Association, which was published from 1979 to 1986. The journal is published in print by the University of Illinois Press and made freely available to read online by Michigan Publishing. JALA accepts manuscripts on any topic related to Abraham Lincoln. Manuscripts should make a contribution – or a new interpretation – to the field of study of Abraham Lincoln. Pertinent unpublished primary source materials are also welcome. Authors should follow the Chicago Manual of Style. Papers should be in 12-point type, double-spaced, 20-25 pages exclusive of notes and references. Accepted papers are subject to editing. Articles should be submitted electronically to the JALA online manuscript submission system. To begin, click here to set up your personal account and upload your submission.